It might be surprising to some that literary poetry is thought to predate language in the context of reading, writing, and speaking as a form of communication. Some important elements of poetry consist of the meter or rhythmic structure of the poem in a measurement involving flow and movement. Proper structure is also an important component when composing and performing as a musician. 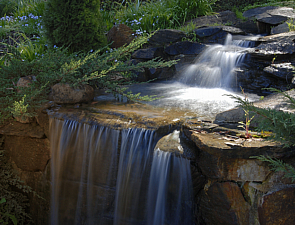 American Contemporary New Age artist Nick Farr, apparently has the proper abilities involving rhythm and structure in both music and poetry since his many accomplishments as a composer include being a published author of literary poetry, prose, short stories, fiction and children’s books. His literary career was perhaps second nature to him considering he began classical music studies at age 5 and then pursued music while in college. Nick Farr has 6 albums total with The Ever Present Now from 2009, on the Riverboy Records label as his latest release. This latest album held the number 1 and 2 positions in NAR’s Top 100 air wave chart in January and February 2009, with additional nation wide online airplay. Generous mixtures of mid tempo Contemporary Instrumental and nice Jazz influences do give it an aesthetic just right feel by employing the free style he is accustomed to in piano arrangements. Flute, saxophone, horns and strings provide the back drop in some songs, enhancing the classic description and giving it a distinguished tone. Produced by Grammy Award winning Randy Kling, this release is more classical piano than some of Nick’s earlier albums making a nice medium to show a finer sophisticated mindset without being overly classical. The 12 songs on The Ever Present Now represent a well versed language of music and poetry by this dedicated artist who reaches into genres of Contemporary Instrumental, New Age, Classical Piano, and Jazz. The song Solace is a poetic hopeful song, comforting by the graceful flute and piano duet that seems to incorporate well during melodic phrases, lending a hand by consoling stanzas of support. It is during these passages that uplifting and inspiring verses with note filled piano runs and flute, reveal patterns of consciously timed pauses between instrumental passages. The song Traveler is a deep moving piece, set to a faster paced melody that is structured by each key change, transforming each refrain into a sonnet set to musical time, never resting during each chord step along the way. Winter Prayer is a powerful melodic psalm, paying homage by offering a distinctly elegant classical composition. Masterfully delivered musical prayer requests are often emphasized in this piece, carefully turning each note into a hymn of reverence. Nick Farr’s piano composition shines from the invocation of this song which is heart felt and moving. Momentary pauses then take place as the final chapter of the song slows, bowing out gracefully upon reaching the closing benediction. 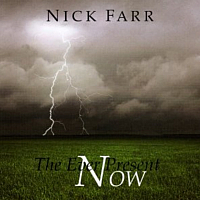 The Ever Present Now by Nick Farr is praiseworthy New Age Classical, embracing all of the structural principals of written prose, leaving one with the impression that his music is thoughtfully displayed in a manner that from the very beginning, deserves the expression of poetry in motion. Visit nickfarr.com for a classic approach to music. Picture copyright Big Stock Photo – zootog.